Kathryn was raised on a family property in the Riverina and had a very active part in the business. While on the property Kathryn commenced her very successful career in the hospitality industry. The first Hotel Motel was purchased in Young NSW which was operated for 5 years and then Kathryn purchased the Golfview Motor Inn at Wagga Wagga which was managed with the help of her four children. Kathryn was responsible for all aspects of the finance and customer service as well as food preparation and the general maintenance. Rinnovate Business brokers sold the business after a very successful 16 years of operation. Kathryn enjoys her family, gardening, sewing and interacting with people. Linda joined our business in January 2015 and quickly became an invaluable member of the team. Linda has a strong background in finance and administration over many years in a range of businesses including both small and larger organisations. Linda’s professional experience is extensive with a diversified and very well-developed range of skills. Linda’s role within the business covers a broad range of responsibilities including web based marketing, financial analysis, reporting, customer service and administrative support to our Melbourne, Shepparton, Albury/Wodonga and Wagga Wagga based sales representatives. Roger is our Business Valuations Accountant supporting the analysis and review of prospective business listings and the preparation of information memoranda. He began his career as an audit cadet with Price Waterhouse (a predecessor of one of the Big Four accounting firms). 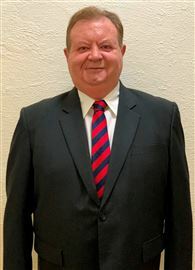 Over subsequent decades he has worked in a variety of industries including manufacturing, distribution, textiles, chemicals, retirement and property development, and logistics. Following his cadetship, Roger worked his way up to hold numerous senior management positions in organisations of all sizes with the last 15 years spent working as a consultant in his own consultancy firm. This more recent part of his working life has seen him advise in several acquisitions and sales of businesses. Roger is also a Director of several private companies including acting as the Chairman for a logistics group. Roger brings to our firm a lifetime of experience within business, including M&A, and it is this experience that brings particular value to our business broking operations.